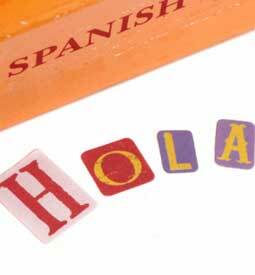 Learn Spanish - at home, at your own pace, with Penn Foster Career School International. And you’ll learn it all at home — no classroom needed! You’ll learn by doing — reading stories and listening to CDs — at your own pace! Learn Spanish for business and pleasure. Learn valuable skills to use when you’re traveling in a Spanish-speaking country. Increase your chances for advancement at work. This fast-paced, entertaining program will make mastering Spanish vocabulary and grammar a pleasure. Instead of dry language lessons, you'll read along with a thrilling adventure story. Explore a mysterious island in search of a legend, all the while learning a new language! CDs and special pictographs that help you understand the meaning of Spanish words. Start today and in as little as six months from enrollment, you can have a working knowledge of the Spanish language!